This Antique Copper Anchor Electric Lamp 15" is an authentic and functional ship lantern. 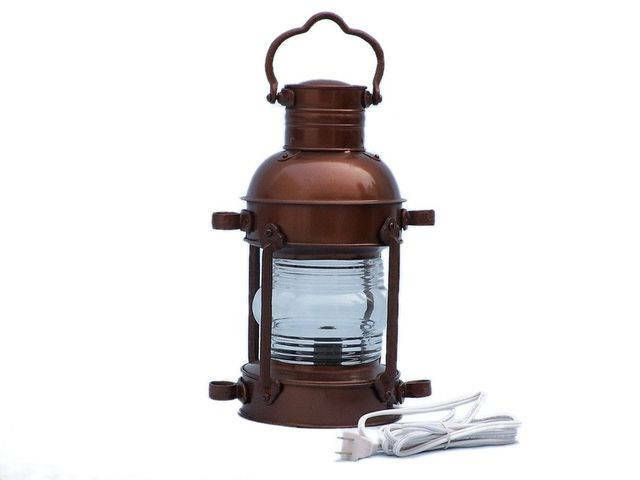 Hand-painted a vintage antique copper finish to create a realistic anchor lamp, this ship lantern is true to the original design of period lamps. Our rustic nautical table lamp is fully functional and simply needs to be plugged into a power source to omit light.